Choose from 7 hotels and guest houses in Antrim. Shown below a just a selection of the hotels available. To search within an area please use the menu on the right. In the heart of the province and close to Belfast International Airport, this modern 4-star hotel offers stylish and contemporary accommodation and great facilities. The Park Plaza Belfast has proved popular with business and leisure guests from all over the world, due to it convenient airport location, its comfortable accommodation and its impressive facilities. The hotel has 106 superbly appointed en suite rooms, including superior rooms, executive rooms and suites, as well as rooms suitable for disabled guests, wheelchair users and those with reduced mobility. Each room has a queen-size bed and has been thoughtfully furnished and carefully designed for guests total comfort. Guest have a choice of eateries, including the lobby bar and Circles Restaurant, which offers a range of quality dishes, made using locally produced ingredients. The hotel also offers 24-hour room service, free on-site parking and a business centre with 10 impressive conference rooms. In the heart of the city, this beautifully converted Victorian warehouse is now a stylish and luxurious 4-star hotel, mixing period features with modern boutique style. 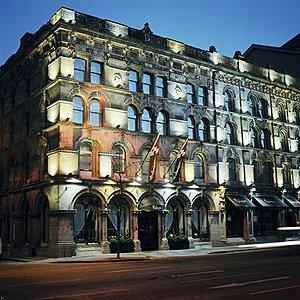 With carved stone gargoyles and original iron pillars and beams alongside modern facilities, the Malmaison Belfast is one of the city's top boutique hotels. The luxurious rooms and elegant suites are decorated in a rich, opulent style, with mood lighting and comfortable deluxe beds. All rooms have satellite TV, CD players and CD libraries, along with power showers. The hotel also offers some of the best eating and drinking in Belfast, with a stylish bar and a brasserie. Expect top-quality food made with locally sourced, ethically produced ingredients. Malmaison Belfast also has a well-equipped gym. On the coast between the towns of Portrush and Portstewart, the inn boasts spectacular views out over the Atlantic Ocean towards Donegal, as well as great views of Portrush's Ramore Head and harbour. The Inn on the Coast has an impressive location, directly across the road from Ballyreagh Municipal Golf Course. With some of the finest views of this dramatic coastline, the 9-hole golf course boasts stunning features, including a tee shot across a yawning ravine. There are also putting greens and pitch and putt for children. There are five18-hole golf courses within a 3-minute drive of the hotel. All of the en suite rooms have TVs, hairdryers and tea/coffee making facilities. 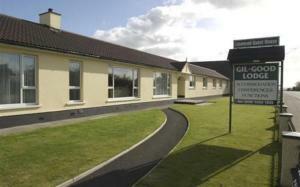 Rooms facing to the north and west enjoy views of the Atlantic Ocean and the mountains of Donegal. Some have additional views of Portrush. Rooms facing east have views of Ramore Head and Portrush. All other rooms enjoy views over rural farmland. Free on-site parking is available. Set within a former Norman castle, this traditional 15-bedroom inn is situated in the historic town of Carrickfergus, on the coast of County Antrim, Northern Ireland. Originally built by the Norman knight Reginald D'Aubin in the 13th century, Dobbins Inn Hotel has a rich history, having been a castle, townhouse, gaol, armoury and collecting point for the postal service before becoming a hotel in 1946. Unsurprisingly, it is home to fascinating architectural features and even a ghost! During your stay, when you are not exploring the hidden delights of the Dobbins Inn, you can enjoy the many historic sites of Carrickfergus, County Antrim's oldest town. Local attractions include the Castle, dating back to 1188, and St Nicholas Church. Situated in Windsor Park, a peaceful tree-lined avenue in the centre of Belfast, these welcoming 5-star apartments are ideally located within easy reach of all that the city centre has to offer. With a regular bus service taking you to the city centre in just 5 minutes, Victoria Apartments are also within easy walking distance of theatres, cinemas, boutiques, restaurants, nightclubs, art galleries and supermarkets on the Lisburn Road and the city centre. Queens University is also nearby. All of Victoria Apartments feature a range of facilities to ensure a comfortable and relaxing stay. These include a fully-fitted kitchen, bathroom with bath and power shower, large living area and a separate bedroom. Featuring on all major routes, this city centre budget hotel is an ideal base whilst working or visiting Belfast, with the train and bus stations across the road. 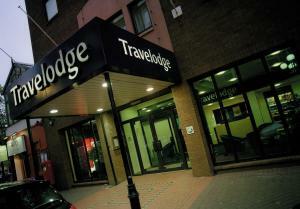 The Belfast Central Travelodge offers spacious rooms with double-size beds set with comfy duvets. Rooms have complimentary tea/coffee making facilities, multichannel TV and Wi-Fi access. The Belfast Travelodge has a bar-cafe which opens daily. The universities of both Queens and Ulster are within a 10 minute walk. There is a vast array of restaurants, pubs and clubs locally.